Before starting a cruise out of Southampton, England, my husband and I took a Whirlwind Tour Of London And The Cotswolds. The 3 night “Legendary London” tour was a pre cruise land package that we purchased before we started our “Glamorous Europe” cruise aboard the Regent Seven Seas Explorer. We flew direct from Orlando, Florida to London’s Gatwick Airport where we were met and transferred by private car to the May Fair Hotel in London. After a light lunch in the hotel’s bar, we were given a room, unpacked and rested a bit before an early dinner. We spent the evening with friends who are originally from England and happened to be in London for a wedding. We were their guests for dinner at the Ivy Cafe, Marylebone, one of their favorite restaurants in London. The brasserie is quite charming with blue walls lined with antique prints, leather banquettes, marble tile floors and interesting globe lights. Before our friends arrived, we had cocktails and nibbles at the bar which has a wonderful antique pewter top. I ordered a delicious halibut special and my husband had their classic shepherd’s pie, which he said was great. It was a wonderful introduction to London’s popular dining scene. The next morning after breakfast, a motor coach and guide met us along with 20 other guests for a full day of sightseeing. We drove along the Thames River, over the Westminster Bridge with a view of the London Eye and passed by Parliament and Big Ben. Big Ben, one of London’s most famous landmarks, is almost unrecognizable as it is covered with scaffolding with the exception of its face. We were told it will be that way at least until 2021. We then drove down Whitehall past Horse Guard Arch, the main entrance to St. Jame’s Palace and Buckingham Palace. We left the coach and walked through Admiralty Arch to watch the Changing of the Queen’s Life Guards at the Horse Guard Parade. This is also where the Trooping the Color takes place to commemorate the Queen’s Birthday. What a sight it is to see the Queen’s Household Cavalry lined up in their uniforms with their breastplates shining in the sun. The Life Guards wear red tunics and light plumes on their helmets and the Blues and Royals wear blue tunics and red plumes. We continued on to Trafalgar Square with Nelson’s Column at the center. Around the square is The National Gallery and St Martin in the Fields Church. Afterwards, we walked along The Mall with St. James’ Park and 10 Downing Street on one side and Green Park and Piccadilly on the other. We continued past Clarence House to Buckingham Palace. The Queen wasn’t in residence, instead she was spending time at Windsor Palace. Lunch was at the Audley Pub, a three story traditional Victorian pub in the heart of Mayfair. Slightly outside of the tourist area, it attracts locals and celebrities such as Sean Connery, Hugh Grant, Michelle Obama and Prince Charles. The inside has a feel of a gentlemen’s club with original chandeliers, dark wood paneling and a black and white tiled floor. What did we eat… hand battered fried cod, chips and mushy peas along with a pint, but of course. After lunch, it was back on the bus for more sightseeing. We crossed the famous Tower Bridge for our last visit of the day, the Tower of London. Passing through the huge stone walls is like stepping back in time. Inside, rows of brick and Tudor houses line the old walls on what’s called Mint Street making you realize that the Tower is really a small village, not just one structure but a complex of buildings started during the time of William the Conqueror. It was late afternoon so we decided to go see the Crown Jewels first. The collection is breathtakingly beautiful. As we come out, we happened upon one of the pampered ravens. There is legend that should the ravens leave the Tower, both it and the kingdom will fall so you can be sure that the seven ravens kept there are well taken care of. After a full day of touring, it was back to our hotel. Still feeling jet lagged, we decided to eat at our hotel’s May Fair Kitchen and that was a very good decision. The restaurant specializes in small plates of Spanish,Italian,Peruvian and Mexican dishes. On our third day, the coach picked us up at 8:00 A.M. as we were heading to the Cotswolds. We drove about an hour and a half through gentle rolling countryside dotted with picturesque villages and small towns with charming buildings of honey colored stone. The Cotswolds also has its share of stately homes and our first stop was Blenheim Palace near Oxford. It is the home of the 12th Duke and Duchess of Marlborough and was the birthplace of Sir Winston Churchill. An interesting note…it’s the only non royal house in England to hold the title palace. We toured the grounds then visited the staterooms filled with treasures collected over three hundred years. There was an exhibition at the time of our visit by French avant-garde artist Yves Klein . His electric blue artwork was placed among the baroque interior…I felt a strange combination. Afterwards, we drove to the small village of Burford for lunch at the Lamb Inn which was on Sheep Street. The pretty village is known as the “Gateway to the Cotswolds”. Later we visited Bourton on the Water, another picture perfect little village, before heading back to London. What I found most interesting about this tour was how the historic past and the contemporary present day are mixed together throughout London and the countryside. This was the first time that my husband and I have joined a tour group and it has its pros and cons. As to the positives, from the moment we were met at the airport, we didn’t have to worry about handling our luggage and that is a big plus. It was a fast paced three days, exhausting at times but we certainly saw and learned a lot. We had two fantastic and knowledgeable guides during our tours (one guide is a professional actress as well and she brought history to life in the most interesting way). Most everyone I asked, including myself, thought our five star hotel was impersonal and probably wouldn’t stay there again if we returned to London on our own. We would have enjoyed having choices for our included meals but we understood that can be difficult on a tour with time restraints. Since we were always on the move, either in the bus or walking, it was difficult taking good photos. Most of all, the majority of us would have enjoyed a little more free time at our stops. I hope you enjoyed this introduction to what was a wonderful three week tour of Europe. While longer than most of my writings, I wanted you to have an idea of what a tour of London and the Cotswolds is like if you want to partake in a tour yourself. This entry was posted in lifestyle, photography, travel, Uncategorized and tagged Blenheim palace, Buckingham palace, changing of the guard, Cotswolds, London, Mayfair, the ivy cafe, tower of London, Trafalgar Square. Bookmark the permalink. How exciting! Sounds like you are going to some interesting and exciting places. Looking forward to reading about them. Hi Jovina, All new places for us on this trip. I’m happy to know that you will be following along. Thank you! A great post with much useful info. I have been to London a few times and seen the changing of the Horseguard which was spectacular. I’ve never done a guided bus tour though so it was good to know. The bathrooms in the UK are always so small no matter how fancy the hotel is. I have yet to visit the Cotswolds but you have inspired me. Look forward to reading about the rest of your adventure. Thank you for your kind words Darlene, I’m happy to know that you enjoyed the post. I know that you would love the Cotswolds and perhaps get inspiration for your writings. My home town London and you fitted in so much! Sounds like you had a great time. What a great trip! Thank you for sharing those beautiful photos, Karen. Thank you Angie, for your nice compliment. We really did like our visit to London and the Cotswolds. We’ve never been to the Cotswolds — would love to go sometime. Good to hear your impressions about that tour — we’ve looked at that, and at some point will be making the cruise that circles GB. Have wondered whether we should do that tour, or just do something on our own, so this post was really helpful to us. Fun read — thanks. Hi John, I would have liked to have sent more time in the Cotswolds…the countryside is so pretty. I’ve been eyeing the cruise around Great Britain, I think it would be a good one. Love tagging along with you. Can’t wait for more details about your trip. (Motorcoach sounds so much nicer than “bus”!) 🙂 Enjoy! Wow – that’s the full tour – you packed a lot in! Hi Mad Dog, We did indeed pack a lot in during our short stay in London. It would be nice to stay a little longer next time. Great review, Karen, I enjoyed reading about your adventures. I’ve been to London many times but as a single traveller I never dine out by myself, somehow I don’t mind going to a lunch place by myself is different than going to a dinner place alone; which is why I especially liked to read about the places you ate at. Oxford, Blenheim etc brought back memories of family vacations so I enjoyed that review as well. Thank you for your kind words Kiki, I’m glad you enjoyed the post. I know what you mean about dining alone. This is the very first time that I have not given rave reviews about a hotel we stayed at. The May Fair is in a good location and gets some good reviews but we all felt it to be cold and impersonal and the rooms are not what you would expect from a five star hotel. I must say though that everyone we encountered were nice…just detached. What we did like was the restaurant, both the breakfast buffet and the tapas as night were very good. After living in London for 2 years in the early 80s, I tend to forget how truly beautiful it is and how exciting it is to see it for the first time. Sorry that Big Ben was ‘under cover’: it is such an iconic place! And well done for trying Fish & Chips and Mushy Peas: one can hardly leave England without having it. I yet have to go to the Costwolds!!! I’m trying to convince Phil we need to go to the Cotswolds. I have wonderful memories there. You had perfect blue skies for your photos Karen. And I like the contrasts of old and new you captured. I haven’t been to London for many years now, but the old familiar sights are always a joy to see! I could spend several days there with all the attractions to visit. Blenheim is about half way between London and my hometown – we love that part of the world too. If you go to the UK again one day you must visit Stratford. It really was a whirlwind tour, but you seem to have had a good introduction to London and your cruise. Thanks for sharing! Look forward to the next instalment! Hi Cathy, Our guide (who was Kathy) kept telling us what exceptional weather we had…wish we had that same blue sky for the Cotswolds too. I do hope we get the chance to return and if so, I’ll get some recommendations from you. I’m sure Stratford is wonderful. Hi Gerlinde, When you travel to a big city we usually take a hop on hop off bus to get acquainted but we learned a whole lot more on the tour. I’ve never been on a package tour. I think I’d hate it, but of course there are places I’d like to go that might require it, so I’m trying to keep an open mind about it. But, yeah, the luggage thing would be great! Hi Michelle, we had to keep an open mind as well. 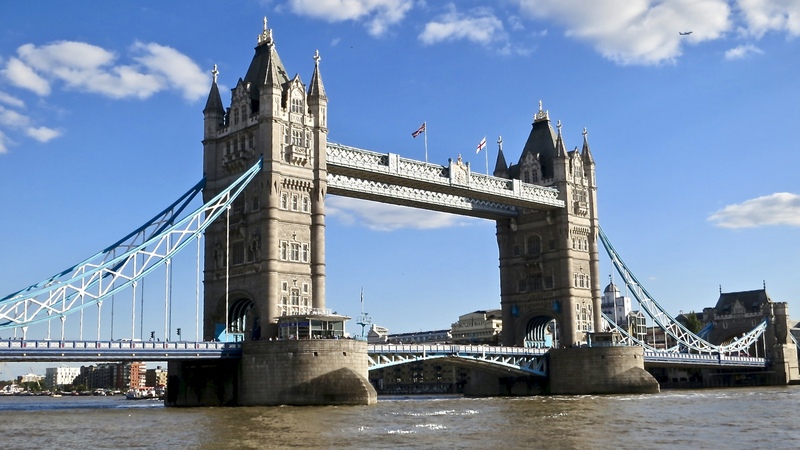 We’ve always been independent travelers but we decided on the London package that the cruise line provided as it included a private car from Gatwick into London, our hotel, tours and transportation to the port. It turned out to be very convenient. I think it just depends on the circumstances during your travels. Thank you for taking me back to one of my vey favourite cities in the world . . . your photos made me feel ‘there’ again 🙂 ! Somehow could not foresee you on an organized tour and methinks the accommodation was a tad different to that you usually book ! But you saw much and next time know to make your own way: methinks you would appreciate the ‘Connaught’ in Carlos Place . . . You enjoyed your evening at ‘Ivy Café’ in Marylebone – my very favourite is the classic ‘Ivy’ in Covent Garden . . . and, yes, I like the Audley Pub also . . . .
I’m so glad that you enjoyed the post about our time in London Eha and that it brought back nice memories. Yes the tour was a good introduction to London and hopefully we will have a chance to return and do it at a more leisurely pace on our own. Covent Garden is an area I would enjoy spending time in. I’m with you about organized tours Karen…definitely pros and cons. I’ve been to London once many, many years ago and while I wouldn’t mind going back, I’m much more interested in the Cotswolds. I’m not much of a city girl when I travel. To some extent I feel like you’ve seen one you’ve seen them all, although I know that’s not really true, particularly in Europe. Hi Doreen, I’m glad you came back so I knew the above comment was from you. I’m with you about the Cotswolds, I’d love to spend more time there. My husband and I actually prefer the small towns out in the countryside but on this trip it’s going to be quite different. What a beautiful area! I enjoyed being able to vicariously visit London via this post. Thank you Sheryl, I’m glad you enjoyed seeing London. I think you will enjoy the post up now about the cruise ship and the ports yet to come. I so enjoyed this post, Karen, as well as your photos. It looks like you had a wonderful time and I appreciate your advice on guided tours and choices in restaurants. We have not yet been overseas, England is where I would like to start. Thanks for a really great post for me! I’m glad that you enjoyed the post on London and the Cotswolds, Jane. We really saw a lot in a short amount of time, hopefully we will get a chance to return as there is so much to see. For all our travels, this is the first time we have spent any time in England except at the airport. Hi Tanya, we loved your home town. We were a little out of breath at the end of each day but we really got an overview of London. 🙂 Hopefully we will get a chance to return. Thank you for your kind words Diane, I’m glad that you enjoyed the post. The tour was tiring compared to the way we normally travel but it was a good introduction to London. It’s been over 25 years since we’ve been to London! I’d say we’re overdue for a trip back!! Looks like fun!! Hi Liz, You are right…it does sound like you need to return to London. Fabulous! When my daughter lived in London for four years, we visited often! And we went to the Cotswolds, which is a must. So much walking in beautiful fields, on perfect paths, spying sheep. Looks like you had perfect weather, also! Thank you Mimi, for your nice compliment. We were indeed very lucky with the weather on this trip…the best I can remember. I haven’t been to London, or England for that matter, in almost ten years now, but seeing your photos brought so much of it back. Of course, I’ve probably seen more days inside a conference room than seeing the city, so for that I’m happy for you. And it certainly seems you’ve made the most of the time! Be warned though, you’ll never see fish and chips the same again :P. Or a pint :). Karen, what a great start to your grand journey off in style and what a whirlwind visit to London you had. I think I’d be happy to just hang out at Audley Pub, I love fish and chips. Thanks for the insight on your experience and thoughts on a guided tour. We’ve been contemplating taking one so your points were well taken. Thank you Ron for your compliment, I’m glad you enjoyed the post. It was a whirlwind tour but an enjoyable one nonetheless. The fish and chips lunch at the Audley Pub was fun, it wasn’t too far from our hotel but I doubt we would have found it on our own. Karen, I so enjoyed visiting London through your camera lens. I have been several times and I do love the city! There are definitely pros and con of group touring. Can’t wait for more of your trip. Hi Pam, Yes there are definite pros and cons about group touring but I’m glad we did it as we had such a short time in London before the cruise. The best part was that Regent was responsible for flights and in and out of London so that we would meet the cruise ship on time which was a big plus. Thank you for following along, I think you will enjoy this adventure. “What I found most interesting about this tour was how the historic past and the contemporary present day are mixed together throughout London” I love this too about London! Taking note of your food forays on this whirlwind tour for when I’m next in the city. Hi Atreyee, It seems as though our thinking is the same. It is so noticeable in so many parts of London how the centuries are intertwined. Hi Dana, The positives definitely outweighed the negatives…we would never have seen so much in such a short period of time on our own. I’m glad you enjoyed the post. Hi Nancy, It was a lot of fun and we saw a lot of London during our short stay before our cruise. I’m glad you enjoyed the photos, thank you. London has been in my bucket list for a long time. I hope I get to visit it sooner that I think. Such an interesting city! Hi Denise, I do hope that you get to cross London off your bucket list…sooner rather than later. I am so dying to visit the Cotswolds, what beautiful photos! I’m glad that you enjoyed the photos Laura. I hope you get a chance to visit the Cotswolds, it certainly is a beautiful part of England. Lovely shots of London and your trip! Thank you Ladyfi, I’m glad you enjoyed the photos of London and the Cotswolds. Hi Tandy, This is the first time we have taken a tour but the offer from Regent was too good to turn down as they handled our flights and transportation into and out of London. The Green Park metro station was just around the corner from our hotel, it was a very convenient area in which to stay. It has been long time since we visited London. 🙂 Lovely post. Thank You. Thank you Sartenada, I’m glad that you enjoyed the London post. That sure was a busy day, especially with jet lag. Looks like an incredible trip. It’s been years since I was last in the UK. Got to get back! Hi Frank, We did have a good time in England, wish it had been longer. Hope you get the opportunity to return again. We have been to London when the boys were small and alone. You know it is really different when you view London in the eyes of a 4 and 9 year old vs as an adult. You see and experience different things depending on who you go with. All of your photos brought back loads of fun memories. Bobbi – my two daughters were 6 and 8 when we first dared take them . . .I SO agree looking at a well loved city in a totally new light 🙂 ! Our Hall Porter in Knightsbridge suggested we used a private tour guide instead of public tours (4x tickets bus tour price equalled — ) humongous !!! My gals ‘helped’ the Guards get ‘dressed and fitted out’ ere the ‘Changing of the Guard’ and we managed to have a very private hour in Westminster Abbey, ‘stomping’ (yup!) on rather famous historical heads for the cost of a bottle of gin for the ‘holder’ of the keys . . . and the girls still talk about going to Covent Garden, being seated in the Royal Circle, and ‘meeting’ our Premier out on holiday . . . serendipity . . .
Hi Bobbi, You are so right. I traveled alone to Europe when I was young, with my husband and also we’ve gone with friends. What you see and do is different depending on who you travel with. I’m happy to know that my post brought back nice memories of your time spent in London with your boys when they were young…so much for them to enjoy. Traveling is such a grand adventure! London sounds fabulous, there is so much to see and do. Hi Deb, We certainly covered a lot of ground during our short stay in London. I’m happy to know you are enjoying following along on this year’s adventure. Thank you for taking me to London and the Cotswolds Karen! I haven’t been so it’s really special to travel through the eyes of friends, and you always go first class which makes it extra fun! You gave me a smile Hannah, the guard was very nice…I just had to get a photo of him and his beard. His beard is quite famous actually. Hi Juliana, I’m happy to have you back following along on my adventures…you have been missed. I’m glad you enjoyed the post on London and I do hope you get a chance to visit. Your photos are stunning and make me want to visit London. I don’t think a tour group would be for me for the reasons you mention. It is nice to be able to have some freedom when travelling. Hi Laura, I appreciate your lovely compliment about the photos. I know that you would really enjoy visiting London. When we were there, it just happened to be fashion week as well…you would have loved seeing how some of the people were dressed. Our older son recently returned from there and thought this was all great, loved the ferris wheel with the great views. And he must’ve climbed every tower there that there was to climb on the tour. I’ve only been to London to change planes, but would love to visit. Sounds like you had a great time! Thanks for sharing! Hi Pam, My husband and I were like you, we had only changed planes in London as well. We had a great time and would definitely recommend a visit. Your son did one thing I will never to again…climb towers. I’m no longer comfortable with heights after being in a spiral staircase in the top of the arc de triomphe in Paris. So nice to see your pictures of London – it is such a wonderful city and I very much enjoy living here. The Cotswolds are beautiful too and it seems you have seen a lot during your tour! Have a great weekend ahead! Hi Miriam, I do know why you enjoy living in London, it is a wonderful city. I just wish our visit could have been longer. I’ve never been on a group tour, but I can see how it would be a fun way to hit a lot of highlights. I’ve always thought I’d probably wander and get left behind on one stop or another, lol! Hi Mollie, We had never been on a group tour as well and you are right it is a very good way to see the highlights. Afterwards, you can go back to visit whatever peaked your interests. Our guide was so good and if we happened upon crowded places, she always counted to make sure she had everyone. Hi Cori, Thank you for stopping by for a visit and your nice compliment about my blog. I’m glad you enjoyed the post on London, you will love it if you get a chance to visit. Good luck, I’m sure you will enjoy blogging…there are a lot of nice people out there. Thanks! Your blog is amazing Karen ! I’m new at this but its already a lot of fun ! You were so close to us here in Dublin. Why no visit? Hi Conor…I know, I was so close but so far away. 😦 Hopefully I’ll get to Dublin and that visit with you one of these days soon. What fun! It’s been too long since I was in London. Thanks for reminding me how much I enjoyed it! Hi Rachel, I hope you get a chance to return to London and relive those memories you made on your last visit. You sure saw a lot in three days. Thanks for the tips about the group tour. Hi Peter, Thank you as always for your nice compliment. We definitely saw a lot and we couldn’t have done it in that short of a time on our own. While a group tour is not for everyone, it worked out well for us as a stopover before our cruise. Regent took care of everything…from our flight to our transportation into London and out to the port. You remind me I haven’t been to London for several years now… and I love British food, if well made (not that difficult to find nowadays!). Shepherd’s pie too… Thank you for making us travel with you! What a wonderful visit to London! I’ll refer to this to develop an itinerary when we visit someday (soon I hope). Lovely weather too! I’m enjoying my arm chair travel through your blog and you Karen! PS: I left a comment on your cruise post, but didn’t see it show up. I’ll stop back and try again. Be well and safe travels! Years ago, we had travelled in the UK with my Mom’s husband after she had passed on. We rented an adorable little cottage in Bourton on the Water, it was such a lovely experience. They had a fabulous rosemary bush in the backyard, so I walked to the local coop and bought everything to bake a focaccia and I made Chicken Soup because Geo came down with a cold. It was a good central local with the train close by.